New Zealand suffered a big eight-wicket loss to India in the first ODI at Napier. 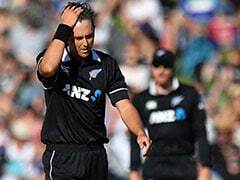 New Zealand fast bowler Trent Boult admitted on Friday that his team was "severely outplayed" in the first ODI by India and needed to address two "obvious" issues that hampered the team in the opening contest. 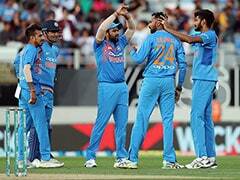 India produced a brilliant all-round show at the McLean Park in Napier to outclass the hosts by eight wickets. 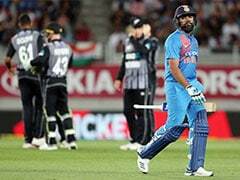 The win showed the gulf between India and New Zealand despite the two teams being ranked second and third, respectively, in ICC ODI Team Rankings. The two teams will lock horns in the second ODI on Saturday at the Bay Oval in Mount Maunganui. Boult noted the home side's issues in the two key areas. "I think it's obvious we know where we went wrong," he said. "We were severely outplayed the other day." After winning the toss and electing to bat, New Zealand were rolled for 157 in 38 overs. The match was shortened to 49 overs -- and India given the slightly reduced target -- after glare from the setting sun forced a delay of more than half an hour. Boult said New Zealand needed to set a good platform at the start of the innings "and obviously put a good target on the board... it's about batting in partnerships and taking the game deep so we can really cash in in those later overs." Mohammed Shami whipped out the New Zealand openers in his first two overs but Boult and new ball partner Tim Southee were unable to make a similar breakthrough. "We know that early wickets in this format kind of kill you," Boult said, saying New Zealand needed to be aggressive with the new ball. "If we can get three wickets in the first 10 overs, we know what pressure that puts on the rest of the team in the shed. "They are human and they do make mistakes." New Zealand played Mitchell Santner as their sole spinner in Napier but may add Ish Sodhi to the line-up for game two following the success of India's spin pair Kuldeep Yadav and Yuzvendra Chahal, who took six wickets between them in the opener of the five-ODI series. Sanjay Bangar Backs Indian Middle-Order, Says Hamilton Collapse An "Aberration"